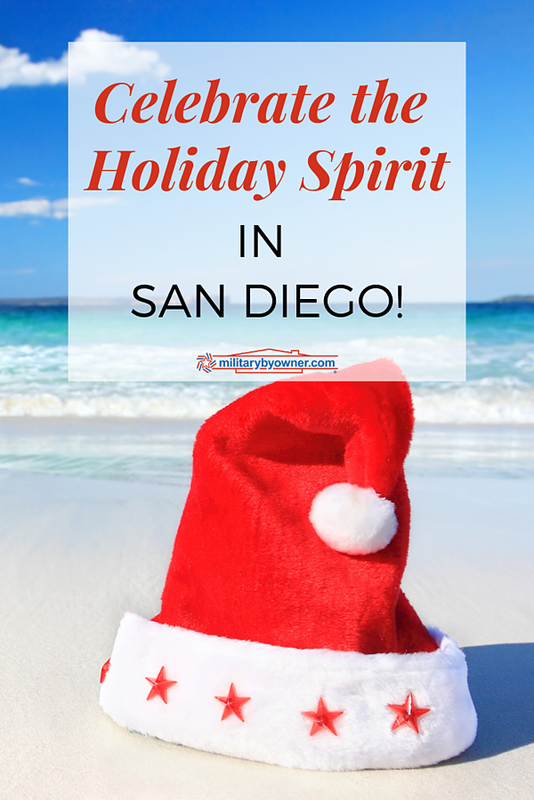 Celebrate the Holiday Spirit in San Diego! The holidays in San Diego have a slightly different feel than other locations. The weather outside is definitely not frightful, and there's no fear of a white Christmas! However, there are plenty of activities in the area to make sure everyone is in the spirit of the season. Take a look at this list and venture out! 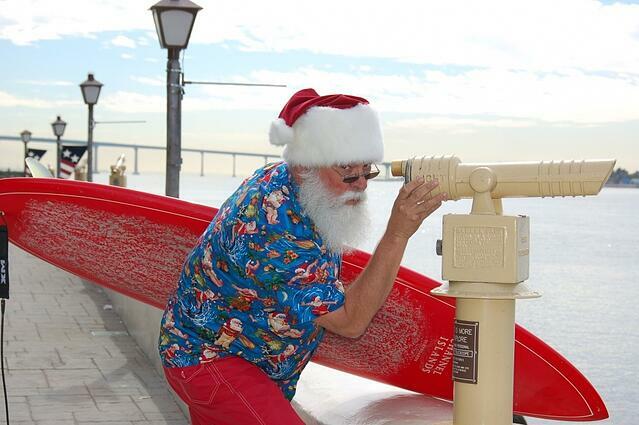 San Diego County offers the best holiday activities, starting right after Thanksgiving with the arrival of Surfin’ Santa. If you missed Santa’s arrival in Seaport village, you can catch up with him on December 7th at Coronado Holiday Parade & Open House. Santa arrives via the Ferry at Coronado Ferry Landing, a festive parade follows down Orange Avenue, and Santa lights the Christmas Tree in Rotary Plaza. Festivities kick off at the Ferry Landing with Santa arriving at 3:20 PM, with carolers and snow fun at snow mountain. Also, at the Hotel del, experience ice skating like no other- you can ice skate on the beach! Find your way to Orange Ave.and select a good spot to take in the Coronado Christmas Parade at 6 p.m. Orange Ave. shuts down to traffic and becomes a Christmas wonderland. Before or after the parade, shop in the stores along Orange Avenue-- they'll have treats and festivities to make holiday shopping a memorable and relaxing time. At 7:00 PM, be sure to be at Rotary Plaza (next to the Visitor Center at 1100 Orange Ave) when the Christmas Tree will be lit for the holiday season. The Community Band will be on hand to set the festive mood. December Nights is celebrating its 41st anniversary this year. 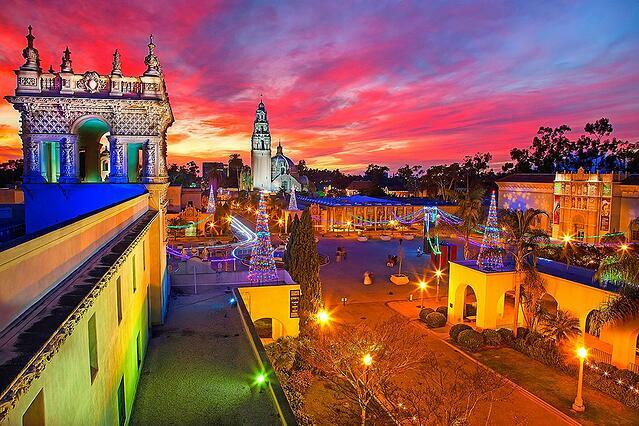 December Nights is San Diego’s largest free festival with more than 350,000 attendees. Guests enjoy entertaining performances, feast on tasty international culinary treats, and experience Balboa Park museums. The sights, sounds and smells of the holiday season fill the air. Festivities include carolers, live music, light displays, theater and dance performances, and delicious food. Be sure not to miss the "Whoville" decorations in the plaza outside the Old Globe Theatre, which are on display to coincide with the theatre's annual holiday production of Dr. Seuss' How the Grinch Stole Christmas! 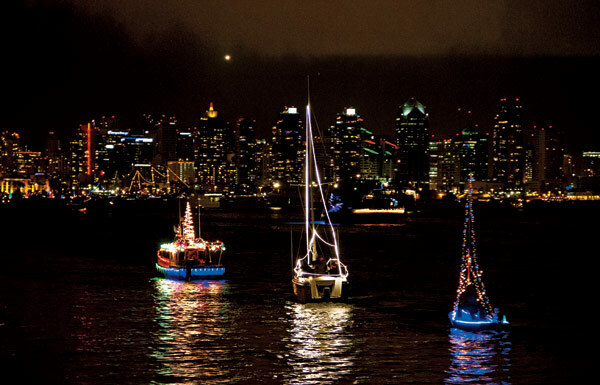 The San Diego Bay Parade of Lights has become one of the most iconic events in the region. Both San Diego residents and visitors line the shores of San Diego Bay each year to watch the procession of approximately 80 beautifully decorated boats, with the procession starting at 5 p.m. This year’s theme is tropical island Christmas! While you're stationed in San Diego, take time to enjoy this unique holiday season. What did we miss? Tell us about your favorite area holiday activity! Click below to follow our San Diego Facebook page to make sure to stay updated on the latest area news and information.